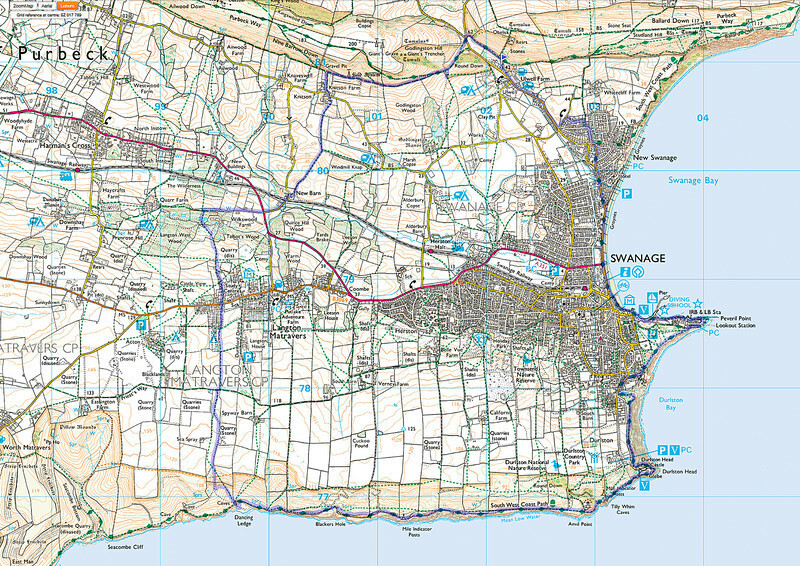 The images below are from a 10.96 mile circular walk round Swanage via the coast path from Ulwell Farm. 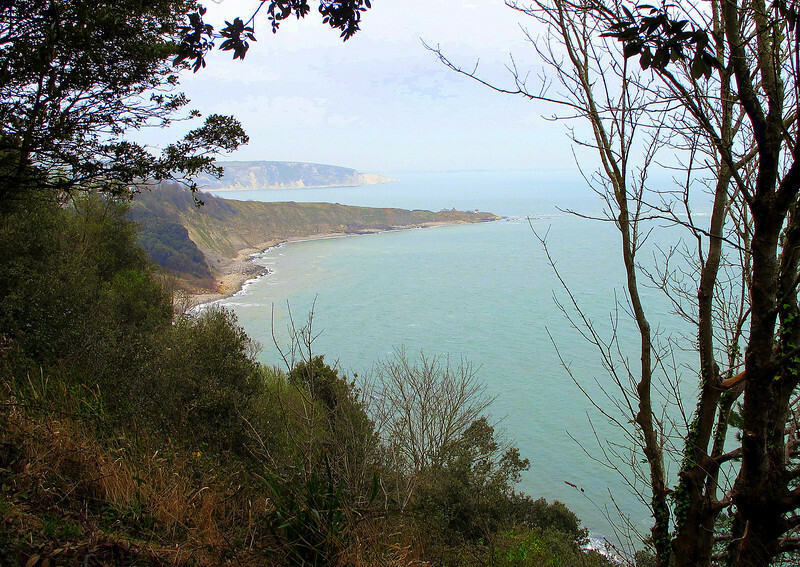 The weather was mainly thin cloud with occasional sunny spells, the breeze light and the temperature cool. There was no rain. It was fairly hilly with total ascent being 1660 feet. A map showing the actual route in blue. 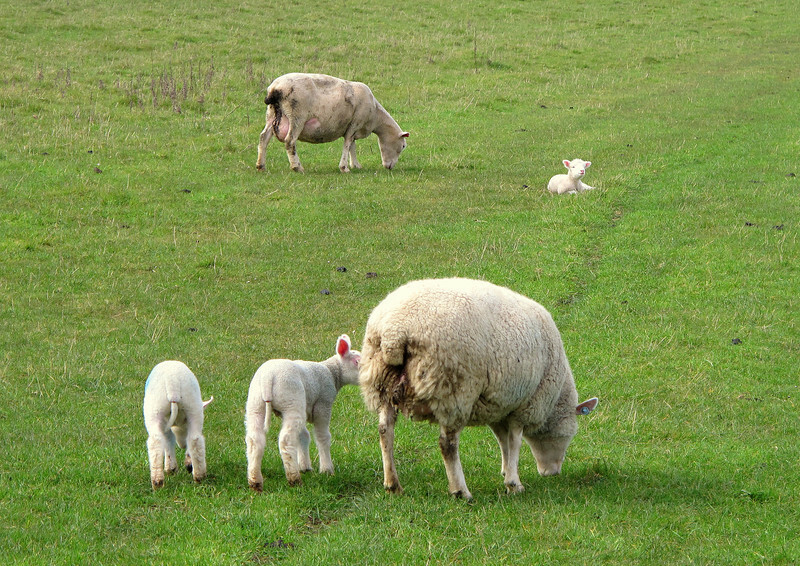 The walk started near Ulwell Farm and went anti-clockwise. 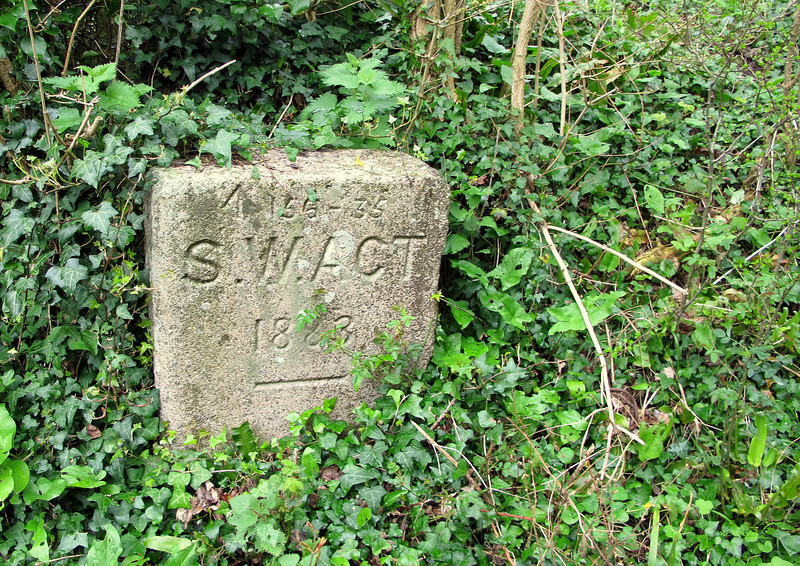 A marker on the Purbeck Way path showing the line of the water supply pipe from a reservoir up in the hill above. 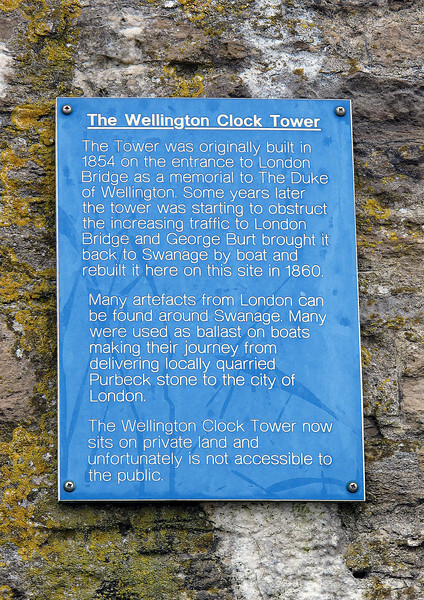 It refers to the Swanage Water Act of 1883. 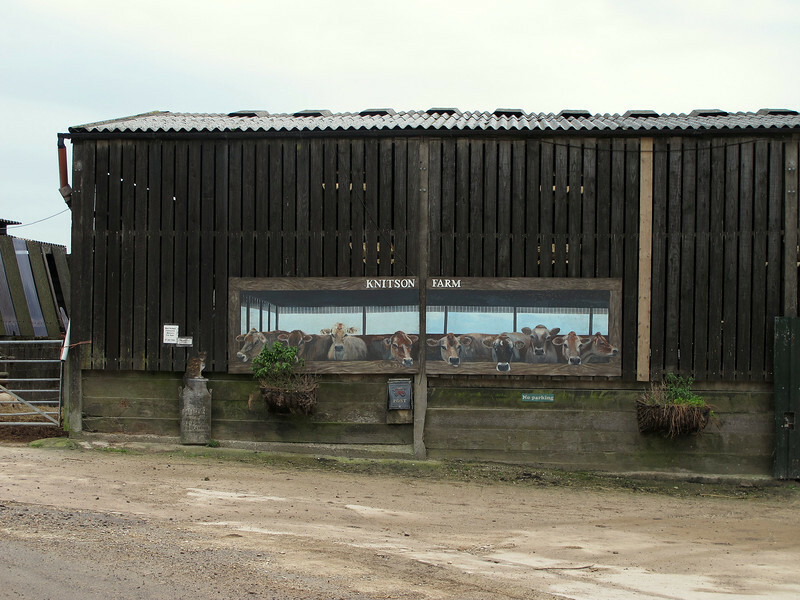 The footpath passes through Knitson Farm and past this mural. 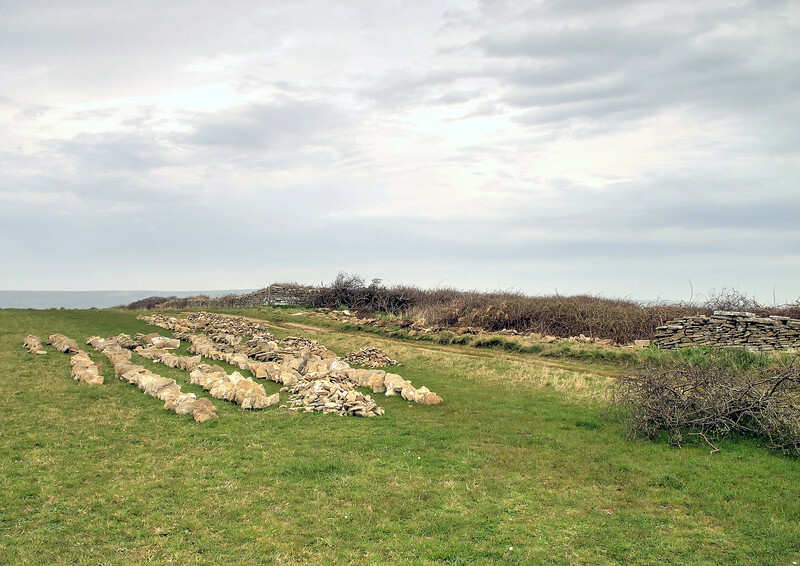 Stone laid out and sorted ready to repair this stretch of dry stone wall. There are clubs which do this for recreation although this work is not necessarily done by one of them. 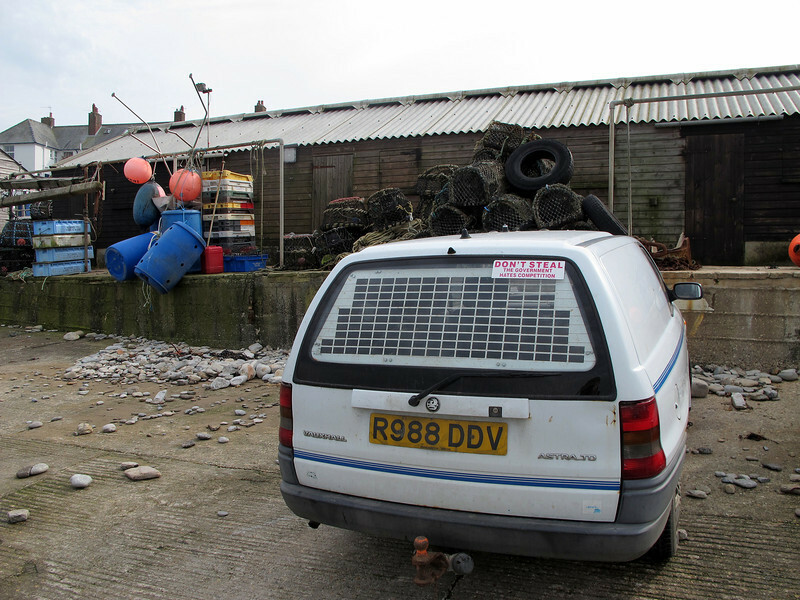 The lunch spot at Dancing Ledge, old stone quarries and loading key. 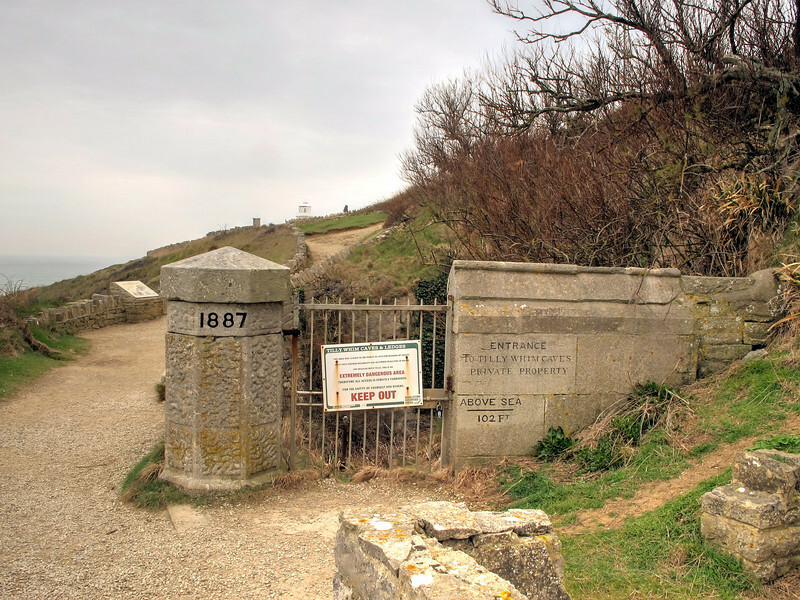 Now closed, these caves were once opened to the public . 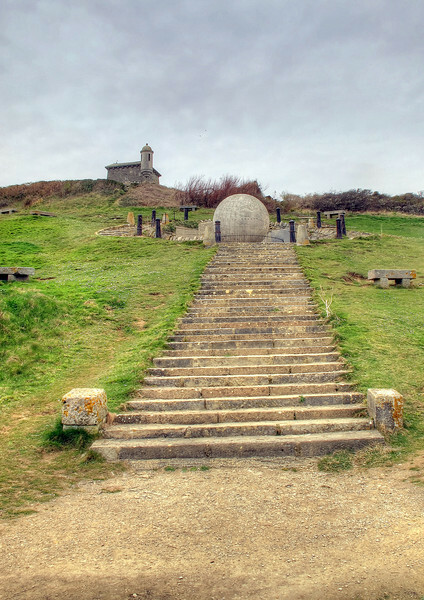 The ball is a Portland stone globe engraved with a political map from victorian times. 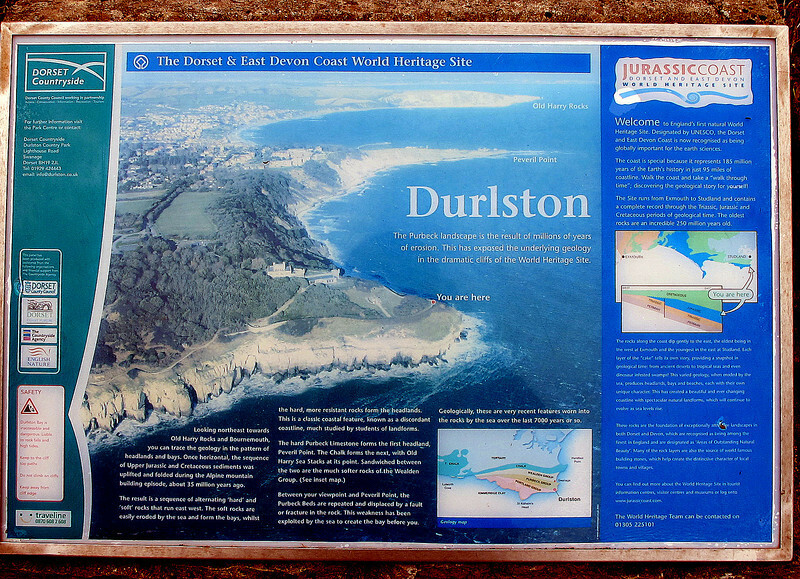 A picture taken from the coast path between Durlston Country Park and Swanage. 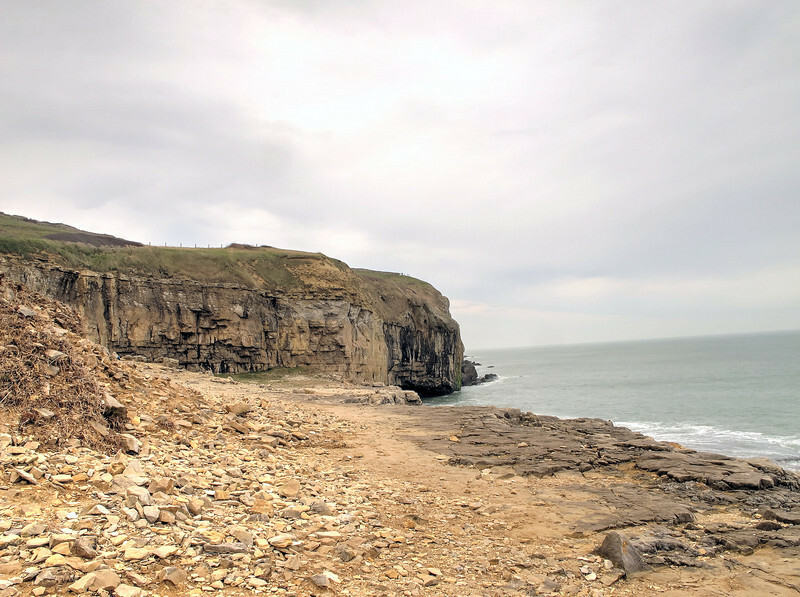 The headland in the centre is Peveril Point while Handfast Point and The Old harry Rocks are the further feature. 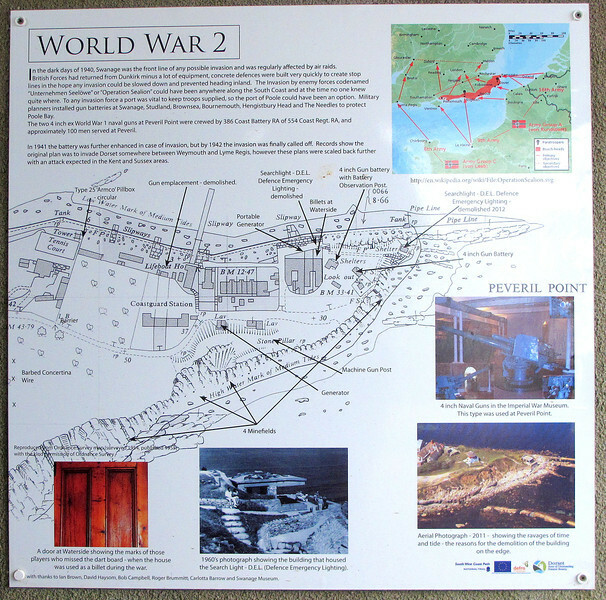 Peveril point gun battery from the second world war has visitor information boards. 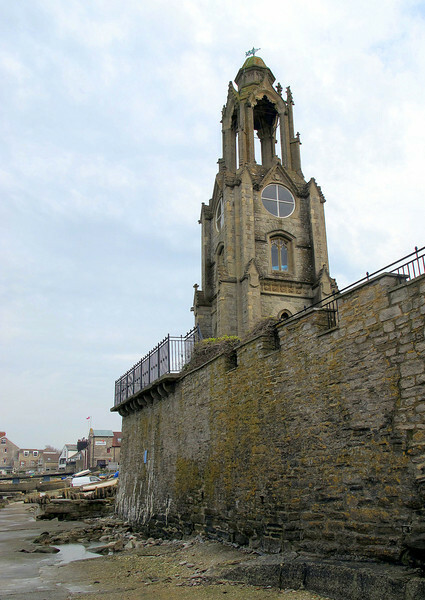 The Swanage lifeboat station. 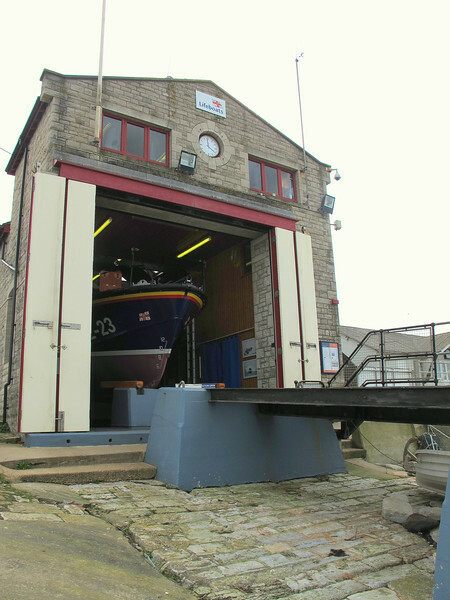 At Swanage there are two lifeboats, an All Weather 'Mersey' class and a 'D-Class' inshore lifeboat. The Wellington Clock Tower - see previous photo for an explanation. 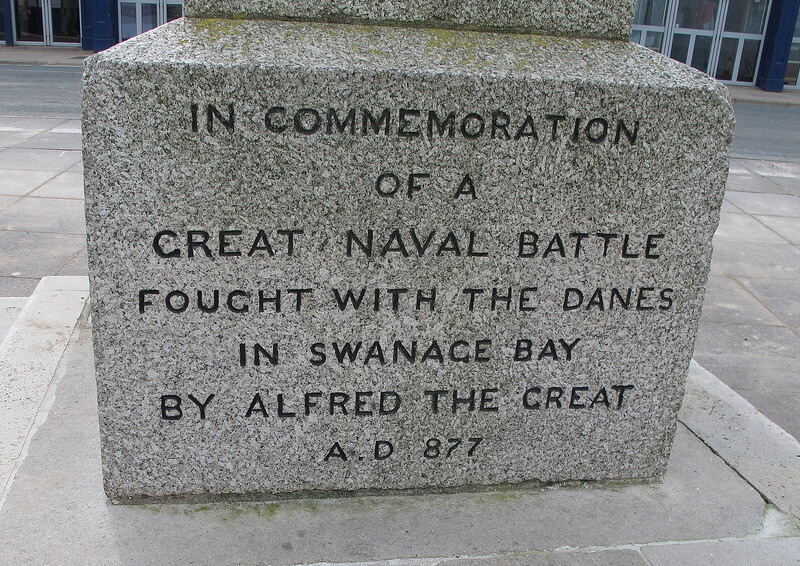 On the promenade in swanage - the base of a granite obelisk commemorating the naval battle against the Danes.